Did you know if you go to a paint store, you will find no less than 45 different shares of grey and beige? You'll even find a multitude of greige (yes, that's the actual word for grey + beige). The best part is bringing your husband to a paint store and asking him to spot the difference in the 10 different whites you show him and ask him to care. Babe, white dove IS different than alpine snow! It's a battle. Anyways, Adam and I are slowly but surely updating our house and doing new stuff to it, including painting. Currently, our entire house is like living in a sandbox. I'm pretty sure when our old owners moved out, they picked a neutral color at Home Depot and painted very single wall the same exact color. It's a pretty sandbox but its one that needs a little Kristen touch, and a little greige. First things first, the master bedroom. I am in love with this Benjamin Moore color White dove. I stole the idea from my blog crush, Arielle at Something Navy. She painted her master this color and I'm obsessed. I'll be sure to share all the before and after photos. Let's move on to the cookies. 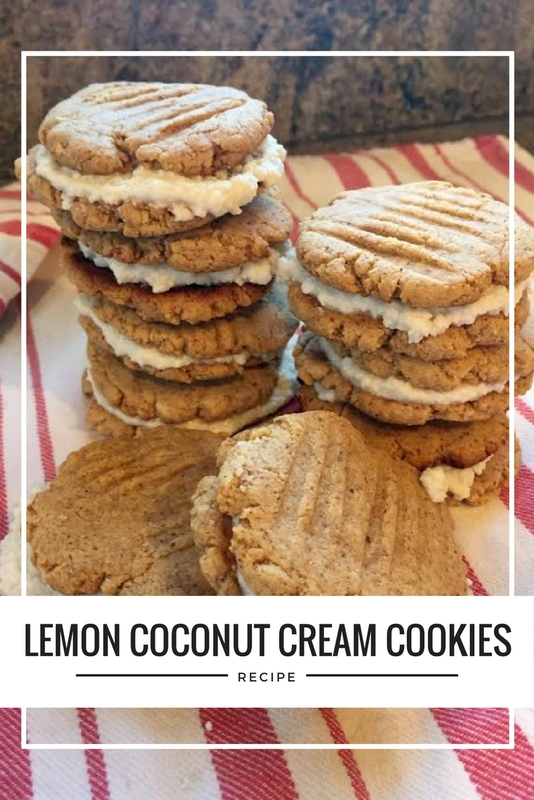 You fabulous Everyday Grace readers LOVED these cookies on Insta-stories. So, this is my thanks for reaching out. You asked, I blogged. It's fall in Denver finally and the cool weather and the pretty leaves have inspired me to bake. Last Sunday I spent the entire day trying out new recipes with Adam as my taste tester. There's nothing like a cool Sunday with a glass of red wine and some cookies, amiright? I am all about these kind of weekends. I've never been a cookie fan. If it were up to me, dessert would consist of candy and ice cream. Cookies, pass. Cake, hell no. Cupcakes, I'd rather save the calories. And then I tried the vanilla oreos. If you haven't had these cookies, you are missing out on life's littlest treats. If I had no discipline I would literally eat the entire package of Oreos. I'm not lying here. When I saw these cookies, I thought hmm... sandwich cookies, yummm. Plus adding the extra layer of coconut cream is the best ever. They are especially the best fresh out of the oven with lots of the fresh cream. Adam told me these are his new favorite cookies and I just might have to agree. These seem like a lot of work and they kind of are, but look at those ingredients - they're all the ones you'll already have in your pantry. Let's get backing. In a large bowl, whisk together the egg, almond butter, honey, lemon juice and vanilla. 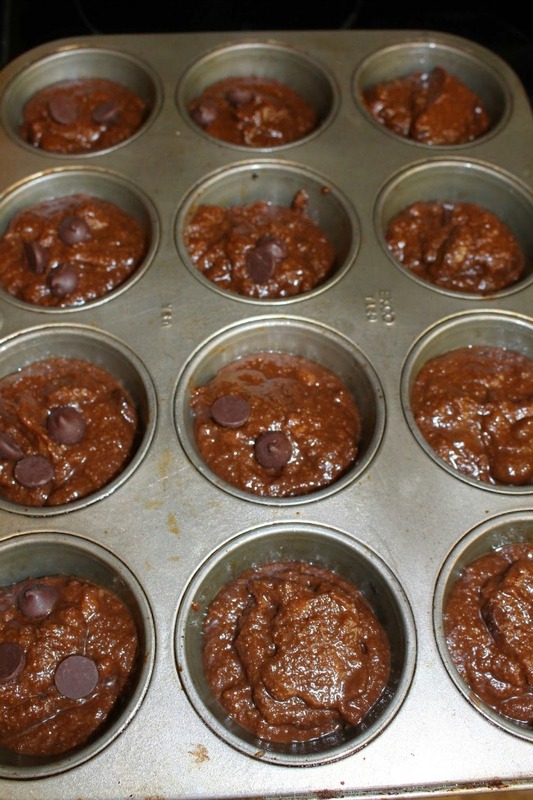 In a separate bowl, combine the almond flour, coconut flour, baking soda, baking powder and salt. Form the cookie dough into 30 balls and flatten each one. The thinner the crispier. 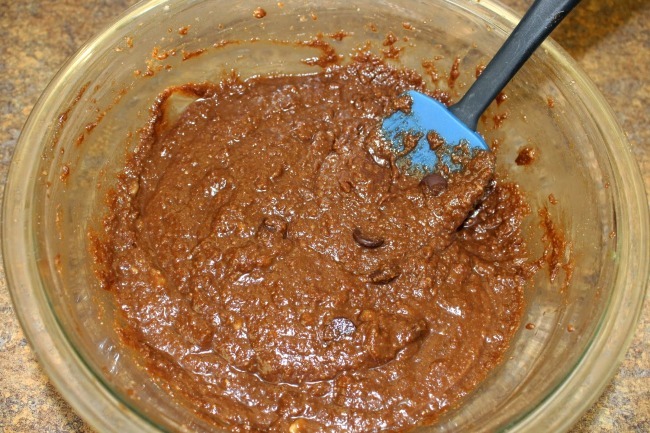 Bake the cookies for 9-11 minutes until they just about brown. Allow to cool. While the cookies are cooling, making the filing! Whisk together the vegetable oil, honey, lemon and vanilla. Beat in the coconut cream until a cream forms. Put in the freezer for about 10 minutes. Once the cookies are cooled and the cream is cold, scoop those babies up. PS. Store in the refrigerator! They make the cookies a tad soft, but you want that cream cold. Let's be best friends - pin the image below! 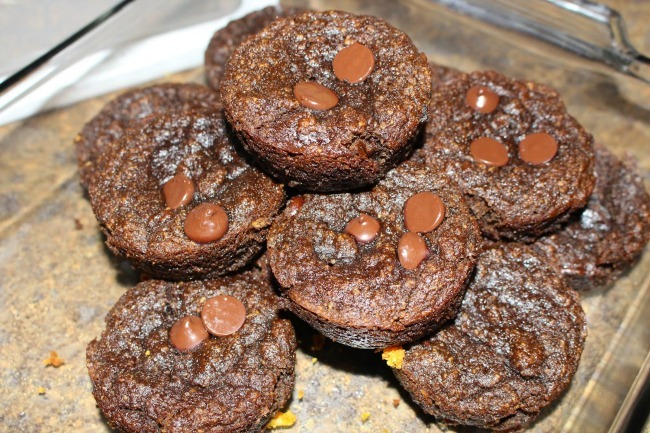 Recipe: Callie's Paleo Chocolate Banana Muffins! This post was originally posted back on October 22, 2014. That seems like ages ago. We were still living in our tiny little townhouse, we had just started eating paleo and we weren't even married yet. We were just little babes trying to figure out how to be adults in a brand new state. It's crazy to me to look back on old posts and see how much has changed. One thing that hasn't changed is our love for these muffins. 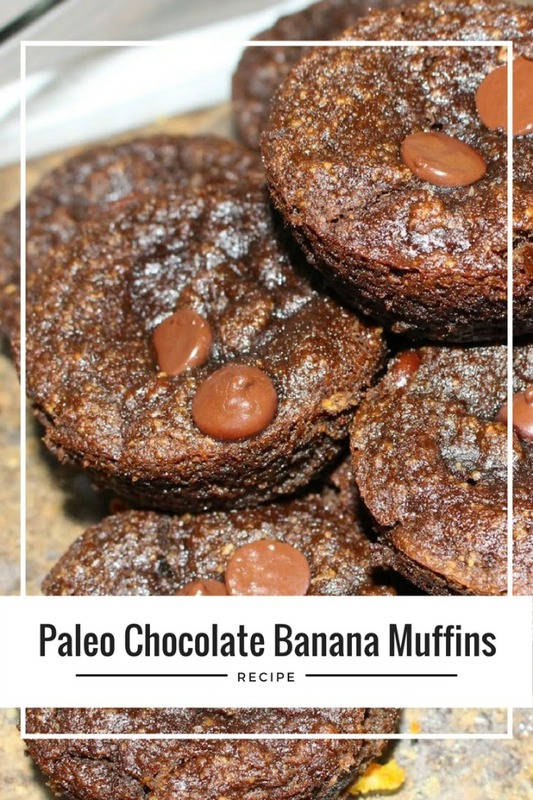 They are super easy to make and legit taste like dessert. I found that eating paleo and cooking for Adam is way easier when I plan ahead. It usually keeps us on a better meal plan and not so many snacks if we do this. Adam and I are always looking for new breakfast options, so when Callie told me about these, we knew we had to try them! They're super easy to make and oh. my. gosh. they are so delicious. I hope you all enjoy! Thank goodness we got married and got new pans! All ready to go in! I forgot the papers, but I sprayed it. Thanks for the recipe Callie! Last weekend I spent the entire weekend going through boxes my parents brought from their house full of all my childhood belongings. We are talking notes from high school boyfriends, my letterman jacket, tennis trophies, diaries and tons and tons of picture albums. I have over probably 30 photo albums dating from 6th grade through college. I was that girl at parties. I always had my mini-canon camera hanging around my wrist. Trust me, what happened in high school didn't stay in high-school and I've got the pictures to tell any story you wanna hear. To me, that is the problem with iPhones and everything being digital. I haven't printed a photo in at least the last year. 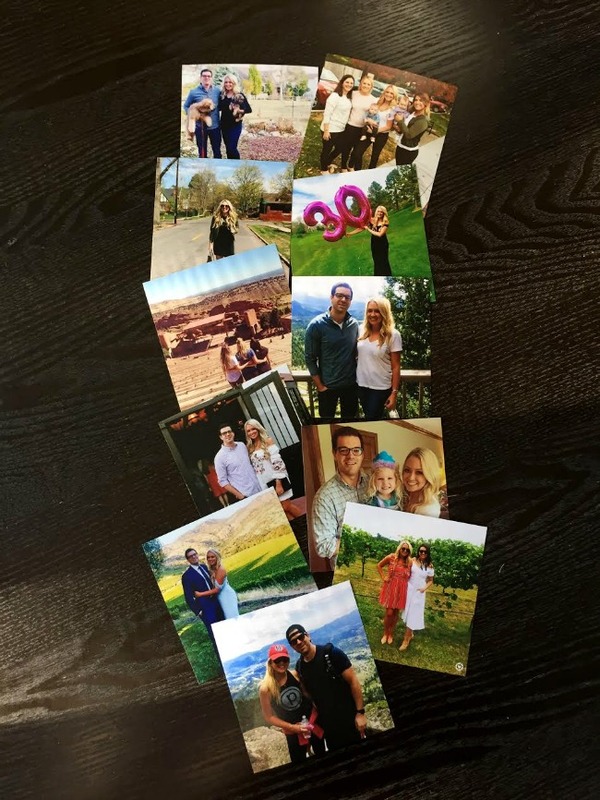 The last time I vividly remember printing photos was after our wedding. I crave holding pictures in my hand and framing them all over my house. My kids are gonna think life ended after college because I have no more photos to show them. This is where Printiki comes in. 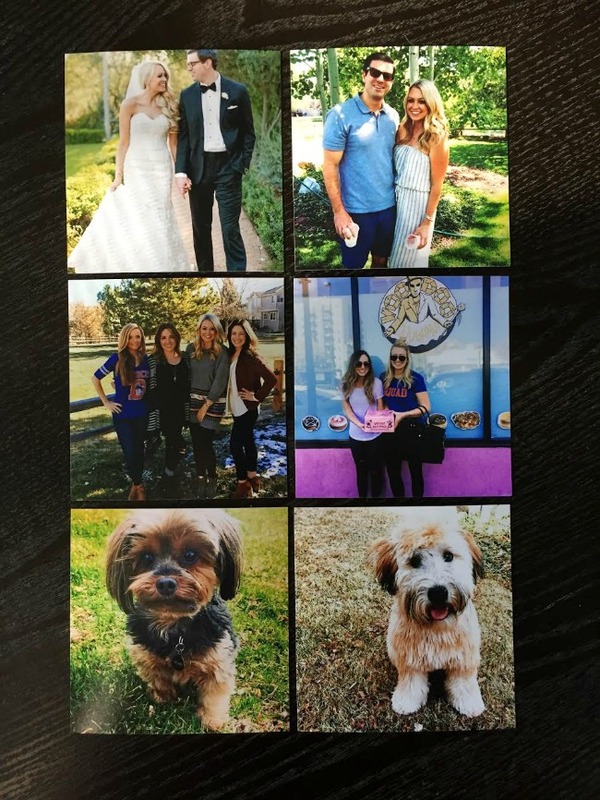 The easiest way possible to print Instagram photos. I am absolutely hooked. You go to Printiki, login in to your Instagram and them boom, select any photos you've posted and print. You can add borders, make them matte, glossy, create books, prints whatever you choose. The best part, in less than a week you have your amazing Insta photos in your hand and ready to share. I am seriously obsessed with my prints. I've already sent some to friends, hung them at work, posted them at home. I'm starting to feel like my high school self all over again. WJYF9E2A at checkout on any order and boom, great photos and free shipping. I'm so excited for your guys to try out Printiki. you'll be absolutely amazing with the convenience and ease of the site. Just remember guys, christmas is quickly approaching and what do moms love more than photos? Now, normally I would never tell you to leave my site, but head over to Printiki and get printing. Happy Monday friends! The Caribbean is a popular beach destination. One of the best low-key destinations in the Caribbean is Anguilla. Anguilla maintains a relaxed atmosphere all year round as the locals highly value privacy and tranquility. Anguilla’s greatest attractions are its tranquility, beaches, food, elaborate villas and resorts and several opportunities for tourists to pamper themselves. As you would expect of any Caribbean destination, finding a great place to stay is not hard.